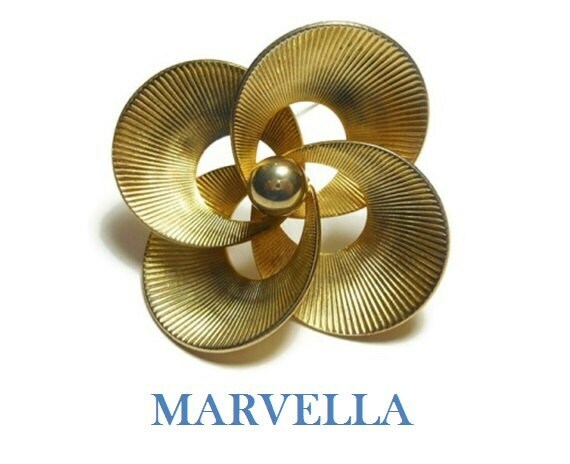 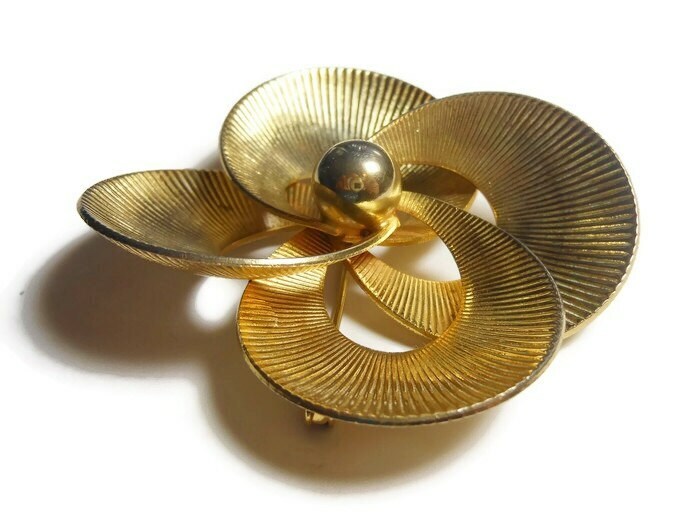 Marvella 1940s gold brooch, abstract floral pin with textured striated curves and single ball center, large statement brooch! 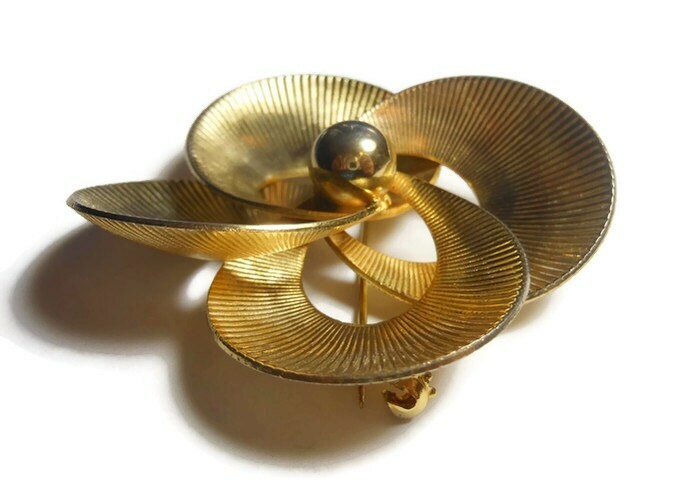 Measuring 2 1/4" (5.7 cm) in diameter, it does have some minor pitting to the surface, noticeable only on close inspection, else it is in very good vintage condition. 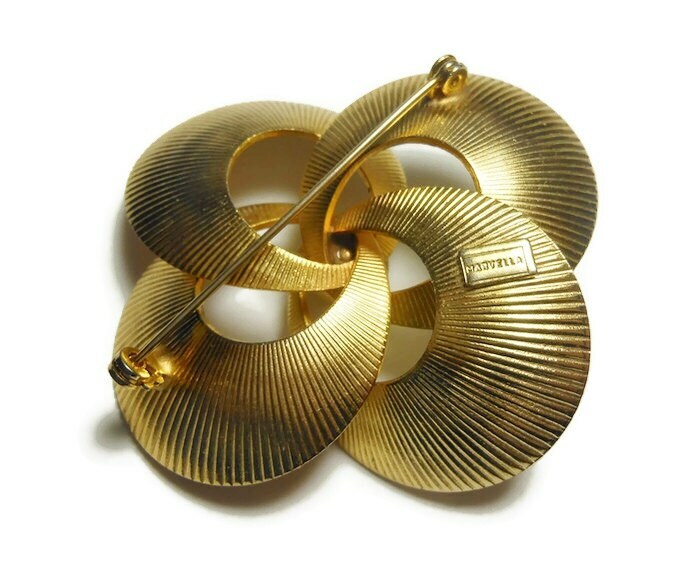 This would be lovely as a Wedding cake brooch, wedding dress sash or part of a wedding brooch bouquet! 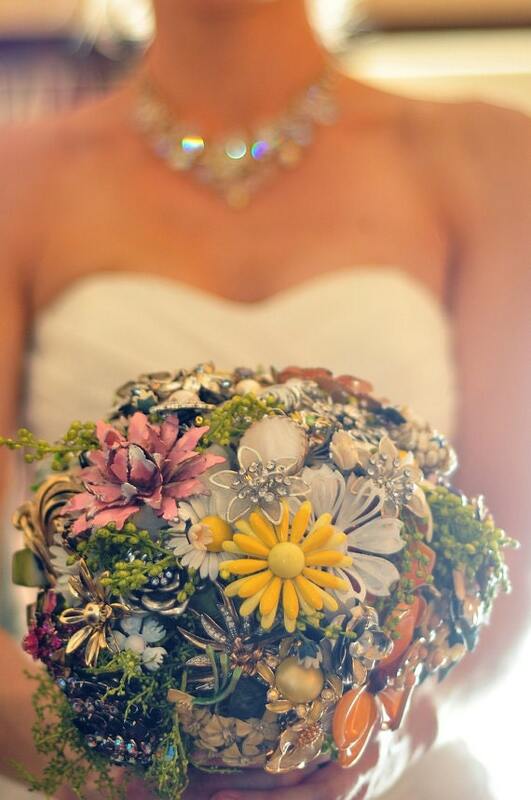 See photos for an example of a brooch wedding bouquet.